As I sat in the audience I had the BIGGEST smile of my life. It had been 5 minutes into the show’s taping and I had already WON an incredible prize in front of an audience of a few hundred people and millions more that would watch on TV. I just won TWO scooters. I don’t even know how to drive a scooter! Maybe I should sell the second scooter. Maybe I should take lessons. Maybe I should sell the second scooter and use the money to pay for lessons to drive the first one! The excitement of the show had peaked (for me), but I still had a fantastic experience watching the rest of the show. One contestant won a box full of thousands of dollars just by saying “Go” until she thought there was no more money in the box. There were other games, but the whole thing went by as a blur. Towards the end of the show, something odd happened. The Grand prize of the show (worth $22,000) is awarded to someone who wins the Final Game. 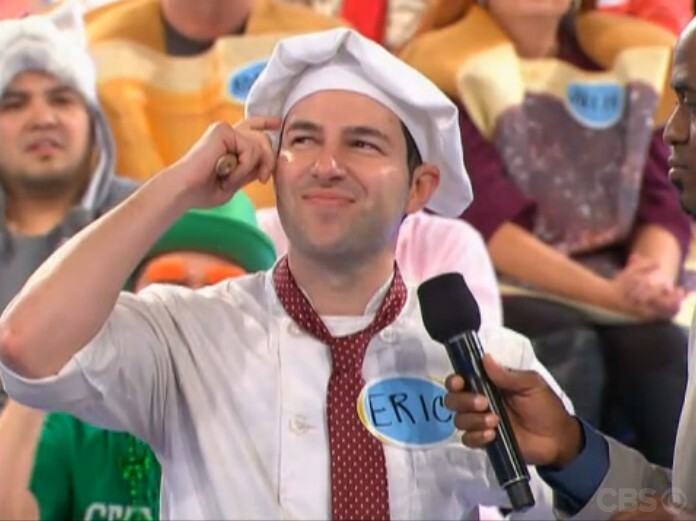 The Final Game is played by a contestant who has won the highest valued prize and is willing to sacrifice it for a shot at the Grand Prize. Only one curtain has the grand prize. You win the Grand prize or get another prize. Wayne went up to a couple who had won the highest earning prize worth $10,000: a weeklong vacation throughout Alaska for two via a luxurious train. The couple chose to KEEP their prize. And so Wayne asked me if I wanted to keep the scooters or take a shot at the Grand Prize. I IMMEDIATELY said I would go for the grand prize. I thought, “Well, why not!? I already won something and I’m going to win something else no matter what. I rushed to the stage and Wayne explained the Final Game. Wayne: “You know what I like about you? Your CONFIDENCE. You are a confident chef. With a dramatic pause, Wayne showed me (and the audience) what was behind Curtain Number 2. The curtain revealed a $9,000 kitchen set! Everything a chef could including a new fridge, food processor, knives etc. “Dang, I would have enjoyed that,” I thought to myself. Wayne: You could have used those tools! So… do you want to stay with Curtain Number 1 or go with Curtain Number 3? Wayne: Go up and sit in your new car! 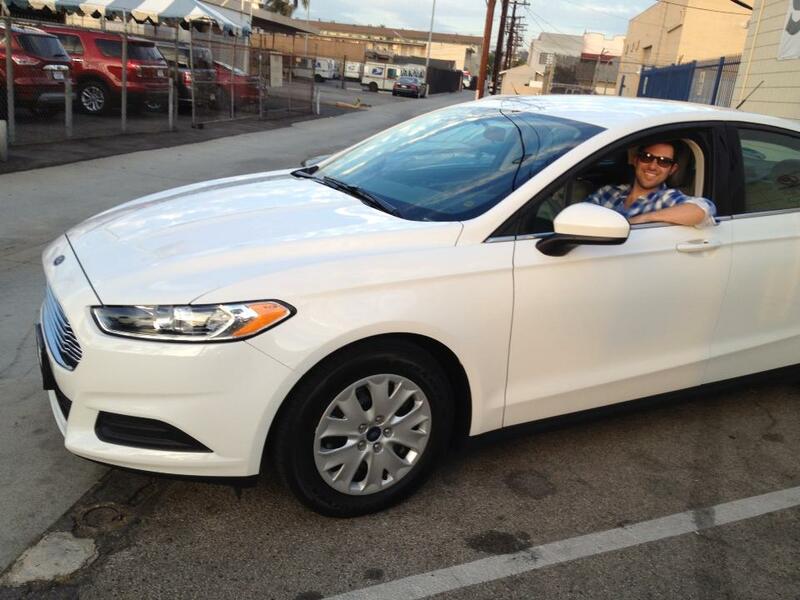 I ran up to the stage, high-fived the co-host and got behind the wheel of my new car! The crowd ROARED with excitement and my body felt like it was on fire. Wayne thanked everyone for coming, congratulated me, and in a few minutes the show had ended. I was guided out of the room and all the audience members were high-fiving and cheering me on! I was still in shock as the producers ushered me and all of the other contestants who won (or lost) a game to an area to sign some legal documents. I learned that even people who lost a contest and got a zonk still got $100! BUT, you could only get the prize after the show aired. It was the end of January and the show would play sometime in mid-May. The producers explained that if we told ANYONE and word got out, they had the legal right to take away our prize. We would also have to pay California sales tax (the government ALWAYS gets their cut…even when you win something haha). I walked away and called my parents, saying they MIGHT want to record the taping of my show in May. I told them nothing BIG happened…but I was in the front row and you could see me really well. Months later, I actually FORGOT about the taping. Life went on as usual. But my facebook blew up one morning in May. Word spread like wild fire and everyone I knew was blowing up my phone. I was at Albertsons buying groceries for a cooking class and someone even recognized me! It was a great moment, and I would have LOVED to have see my parents’ faces when they watched the show for the first time, not knowing what would happen. But…I didn’t get the car that day. In fact, I didn’t pick it up from the dealer until mid-August! Which was followed by MANY victory laps in my new car. BUT I HAD A CAR! But….I really liked my silver Prius, especially for driving around to all my classes! So I sold the car, in cash, to a buyer from Craigslist. I invested the majority of the money in my business and put some in savings. I took my family to a fantastic seafood dinner in Santa Monica at “Blue Plate Oysterette” and ordered EVERYTHING I could to celebrate: dozens of oysters, delicious entrees, sparkling wine and every dessert. It was AWESOME. And that was my story of going on a game show and winning the grand prize. Now, you might be wondering, why did I choose Curtain Number 1? The answer: I told myself I would pick a curtain and stick with it NO MATTER WHAT. I would also choose with 100% conviction.